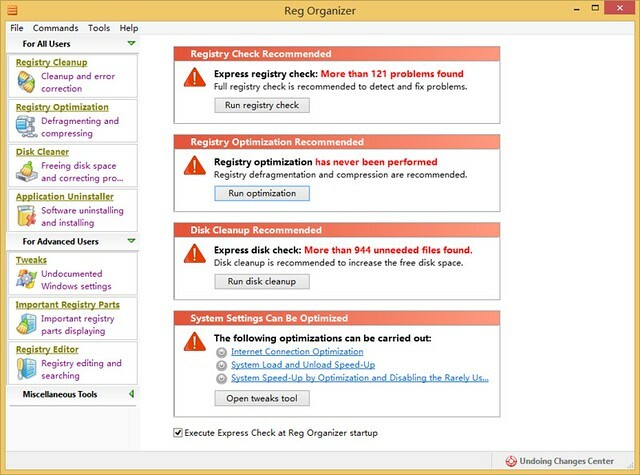 Reg Organizer® is a feature-rich application for Windows XP, Vista, 7, and 8 designed to edit, clean and maintain registry, fix errors in the system, and improve computer performance. The deep registry search feature lets you find all registry keys related to a specific application. The program helps you to edit registry files (.reg) and view their content directly from Windows Explorer. There is also a built-in application uninstaller, allowing you to uninstall redundant applications from the system completely. Another set of features will be useful to administrators, as well as ordinary users.